You’d like to reduce your energy bills, smarten up your home’s light fixtures, and protect your house from theft while you’re away. Smart lighting can stand vigil. Given its wide range of benefits, smart lighting is…well, one of the smartest additions you can make to your home. And there are so many ways you can implement a smart lighting plan—from basic smart switches in a room or two to a full-blown system that automates every fixture inside and out. There are options galore for every need, every home, and every budget, so why not bring some lighting brilliance to your home? Lighting as a measure of home security? Absolutely! When the lights are on, a house looks occupied—a proven burglary deterrent. Sure, you can switch on a few fixtures before you leave the house, but a more effective method is having the lights turn on and off randomly in a way that makes it look as though someone is truly at home. Smart light switches can do this automatically. They can also ensure that you never walk into a dark house again. At a pre-defined time the lights can activate, or from an app on your phone you can turn them on as you pull the car into the driveway. LED bulbs are already extremely efficient, so investing in dimmers can maximize your energy savings. Dim the lights by 50 percent and you use 50 percent less electricity. Over time, this can really add up, and you won’t notice the difference. In fact, when lights are set at a dim level, they look softer and more pleasing to the eye (more on this below). You can dim the lights right at the switch or have the switch alter the intensity of the lights automatically based on the time of day, occupancy, when the shades open and close, and other variables. Home is a place where you put your feet up, connect with friends and family, celebrate, and create. Smart lighting can help your home environment adapt to each and every one of your activities. Cooking in the kitchen? 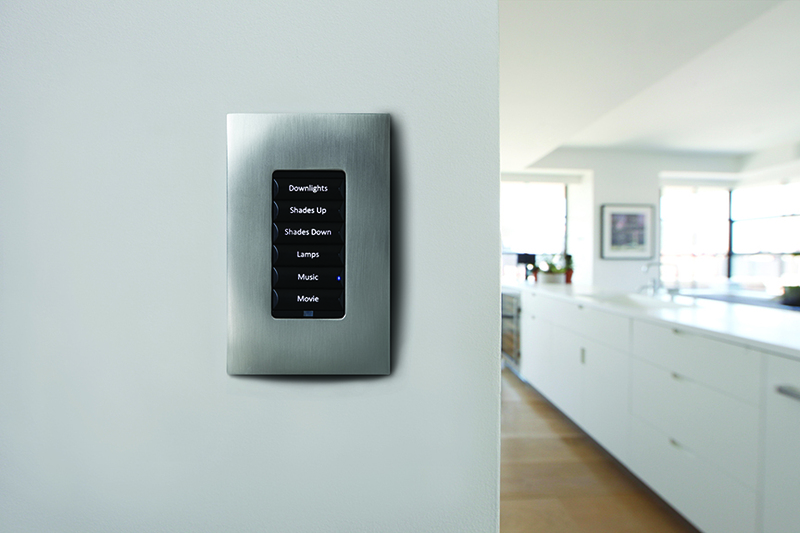 Press the “Cook” button on a wall-mounted keypad, or utter the command with your voice, and watch as the lights brighten. Watching a movie? The lights can fade gradually to create the perfect movie viewing atmosphere. Other commands can launch lighting scenes that accentuate architectural details, artwork, and other elements. Imagine the time you can save by having every light turn off when you press a “Good Night” button on your phone. Or how quickly you can get the house prepared for a dinner party when one command adjusts the lights in foyer, dining room and kitchen. And this is just brushing the surface. When smart lights are integrated with other smart devices—door locks, motorized shades, music systems, and more—you’ll realize even greater convenience. That same bedtime command could also lock the doors, set the security system, close the shades, and lower the thermostat. The impact that smart lighting can have on your home and lifestyle is so expansive and meaningful, it’s hard to justify using old-fashioned lights. Smart lighting solutions come in so many varieties, in so many price ranges, and in so many styles, there’s a something for every household—whether you’re looking to beef up your home security, enhance your home’s cosmetics, save energy, or enjoy greater convenience. 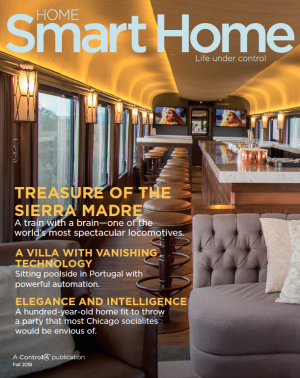 Ready to plan the smart home of your dreams? Visit our project planner today!